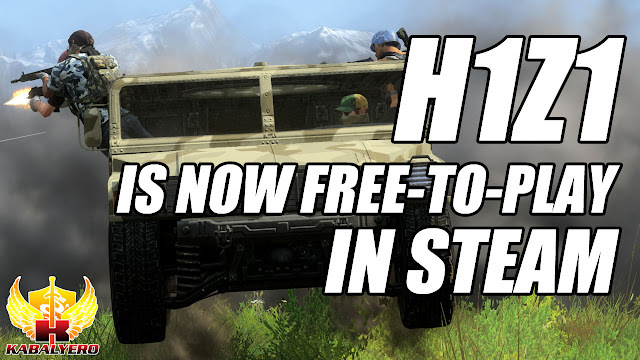 H1Z1 Is Now Free-To-Play In STEAM - KABALYERO - PLAY, BLOG & EARN! It's not like those Free-To-Play weekends, the game is actually Free-To-Play NOW! For those who enjoy playing Free-To-Play Battle Royale games like Fortnite Battle Royale and Rules of Survival, there is a new Free-To-Play Battle Royale game and it's called H1Z1. Well, H1Z1 is not actually new since its been out in STEAM as an Early Access game for quite some time and during its Early Access period the game was not FREE! Now that H1Z1 is out of Early Access, the Early Access price is gone and that makes the game available to anyone who wants to give it a try. In fact, as I was writing and recording this video, I was also downloading the game. It was a 10 GB download and it took STEAM a little over an hour to finish downloading the game. H1Z1's Free-To-Play launch happened a few days ago but, unfortunately, I only found out about it today and for those who recently bought H1Z1, refunds will be provided by STEAM in accordance to its refund policy. Anyway, I'm going to give this game a try and if you would like to watch me play like a total H1Z1 noob then look forward to my H1Z1 gameplay videos in my Gameplay Channel here in YouTube or you can watch me play LIVE in Twitch. So guys, do any of you play Battle Royale games? If you do then what Battle Royale games are you playing and which one is your favorite? Post your answers as well as your comments, questions or reactions in the comments section below and, as always, if you are lagging badly in H1Z1 or any of your favorite online games then why not give WTFast a try.